I guess "Flat Head" is better than "Cone Head"! Once rare, Flat Head Syndrome is now a common sight. I find this distressing because it is so easily avoided. Flat Head Syndrome is the consequence of Baby spending far too much time on his or her back which is unnatural. The newborn skull is soft cartilage that deforms easily, such as when squeezing through the narrow birth canal. Even the slight pressure of the skull resting on a mattress, or reclining in a baby seat, is sufficient to cause deformation of the skull. If not relieved and countered by equal time on his or her front, and swapping from one side to the other, this deformation may become permanent as the plates of the skull and face transform from soft, malleable cartilage to hard bone. While flattening of the back of the skull is the most common problem, laying Baby in such a way that there is uneven pressure on one side of the face, more than on the other, can result in permanent distortion of the proportions of the face over time. Flat head syndrome is the unforeseen consequence of the hysteria and fear generated over cot death or sudden infant death syndrome (SIDS). Flat Head is the result of dishing out narrow health advice in dumbed-down sound bytes, devised by a committee of well-intentioned health experts who fail to see the consequences of their advice beyond their narrow brief. In my opinion, this is poor health practice that treats mothers and fathers as if they are idiots who are incapable of understanding anything other than what can be packaged in an advertising sound byte. While placing a baby on its back may reduce risk of SIDS, there are many other factors that contribute to this most distressing untimely death, such as nutrition, the negatives of vaccinations and smothering a baby in excessive clothing and bedding and over-heating. But I have digressed slightly into health politics. While I am not aware of any neurological consequences of flat head, a disproportionate face and skull is highly undesirable and let's face it: The brain is intended to be oval in shape - not square! Let's demonstrate how to avoid Flat Head Syndrome by way of a pictorial of Marie Monmont and her delightful daughter . Here is Marie with her absolutely delightful 3rd child, Louise (Her other child is already halfway down the path and she's not in the least bit concerned). carrying heavy and awkward baby seats. Baby and Mother are "one". 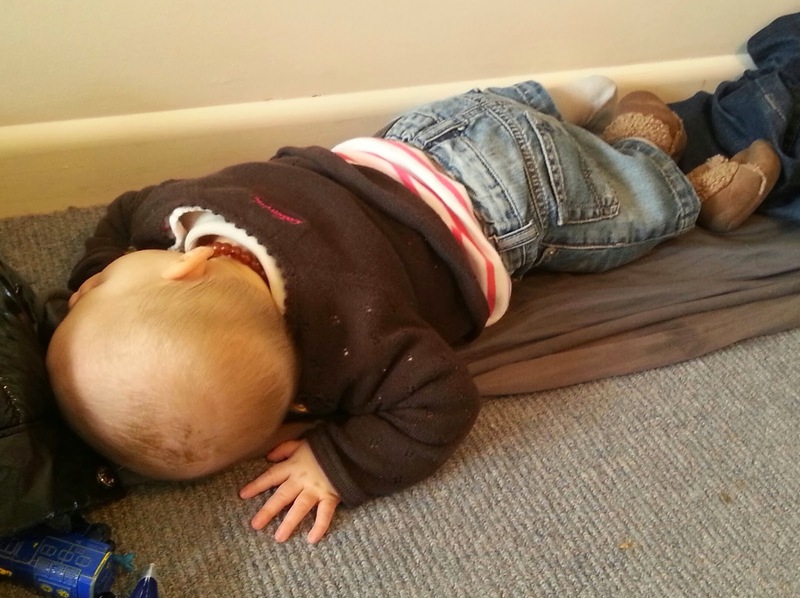 Here is Louise sound asleep on my clinic's floor with her hand in mouth. Note the beautifully rounded skull. 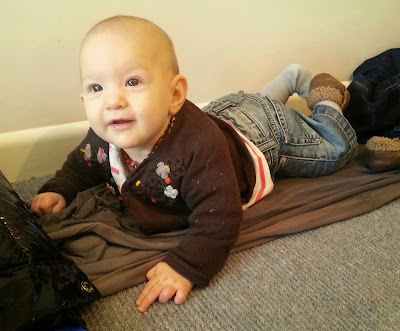 No soft mattress, no smothering in blankets (babies have really good fat insulation). What you can't see is there is no "Helicopter" mother. Louise is happy to sleep while Mum get's on with other matters. Louise is demonstrating exceptional strength of her postural muscles. Being able to extend and hold her spine, as she is, is the essential precursor to crawling, then walking and finally running. In this position she is able to look about and take in the World about her. Humans do not live in an upside down World (unless you are trapped in the Matrix). Louise is also showing good colour - no hint of rosy cheeks which is a sign of magnesium and other mineral and vitamin deficiencies that can set a baby up for many kinds of illnesses, including being very vulnerable to childhood infections. Being an obstinate and self-opinionated French woman (aren't they all? ), Marie has refused to be cajoled into vaccinating any of her three children. Marie is a French chef by training and is a passionate advocate of "traditional foods" - None of this low fat, processed to death fast food stuff! 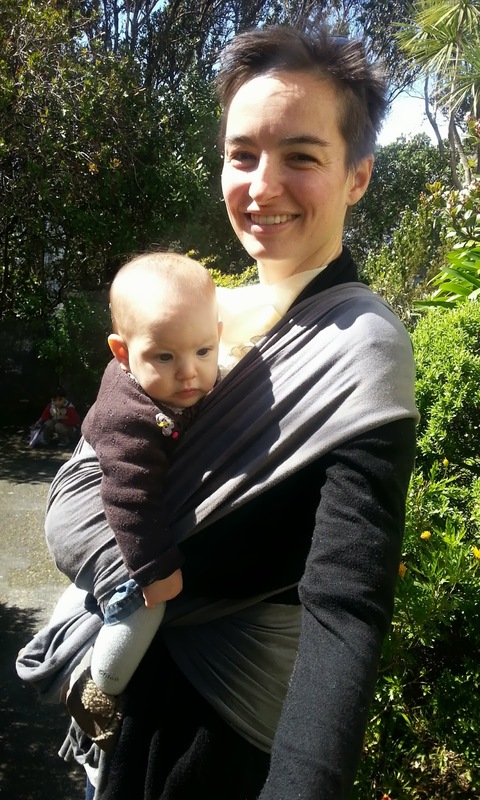 Marie has naturally acquired immunity to most childhood diseases and she is helping protect her baby by passing on her antibodies via her breast milk. 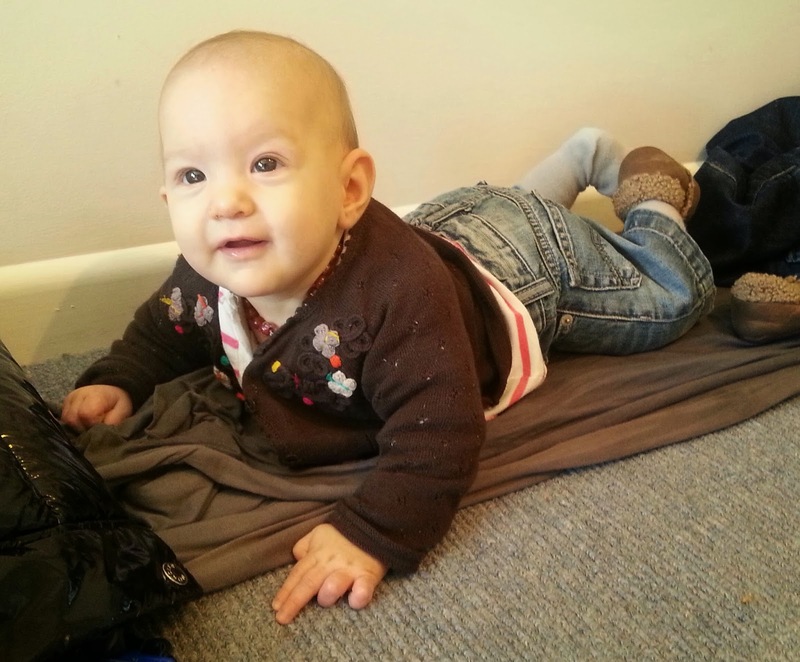 Louise is a very bright baby, showing none of the signs so common today of Autism Spectrum Disorder. There are no snotty noses among her children - I can attest to their wonderful health. And look at the beautiful proportioning of her skull and face - perfect! What more can her parents want for?